As the days get chillier I find myself reaching more & more for wooly jumpers and wintry attire. Thanks to the fact that I buy most of my regular winter jumpers oversized, they still fit the bump (for now) so I can get away with not buying so many maternity items! I did foolishly donate pretty much all of my maternity clothes from my first two pregnancies when we moved countries two and a half years ago so I kind of had to start from scratch this time round. This grey jumper with studs on the sleeves is one of my winter favourites from Olive Clothing (now out of stock, about two years old). Everyone knows that leggings are a pregnant woman's best friend - you can't go wrong with a great quality pair! These are one of my must-have pairs from Isabella Oliver; they're the over the bump leggings and I know they're quite pricey at £45 but I honestly cannot recommend them enough. The fabric is super soft yet thick enough that they hold up really well even after lots of washes. I basically live in these! My over-the-knee boots are from Daisy Street (similar pair here). Honestly I'm not a huge fan of these...they're comfortable and I can't really complain about that aspect, but the quality isn't the best and most annoyingly the zip on one shoe constantly gets stuck. I may invest in a better more long lasting pair later down the line but for now, they do the job. My hat is from Ted Baker (bought last year) and the grey scarf is Boutique Moschino (unfortunately now out of stock). Hope you guys like the outfit and have a great weekend! It's nearly Christmas!! I have some fun Christmassy posts planned for you all which I can't wait to share so stay tuned. 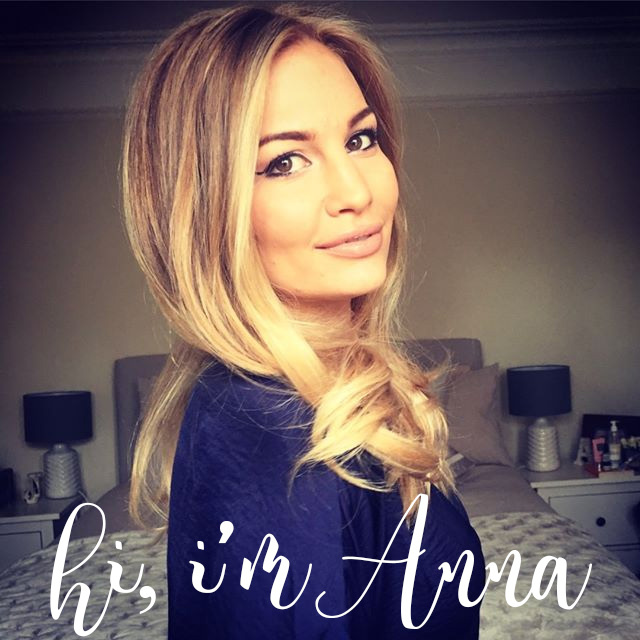 you look amazing Anna, lovely post! You look lovely I love your hair do you do antthing to make it grow ?! Gorgeous Anna! I love the studs on your sweater! Love your Outfit! If you need better quality OTKs check the ones from Loft.com.....i have both colors and they are my fave! I really like your blog and how intimate this feels, it's like a quiet conversation between you and us, readers and that's so great! I truly adore your style and personality and all the things that you do! Looking lovely as ever Anna! Cannot wait for baby girl to be welcomed into the family! Emilia and Eduardo are going to be so smitten! Many blessings to you and your family!